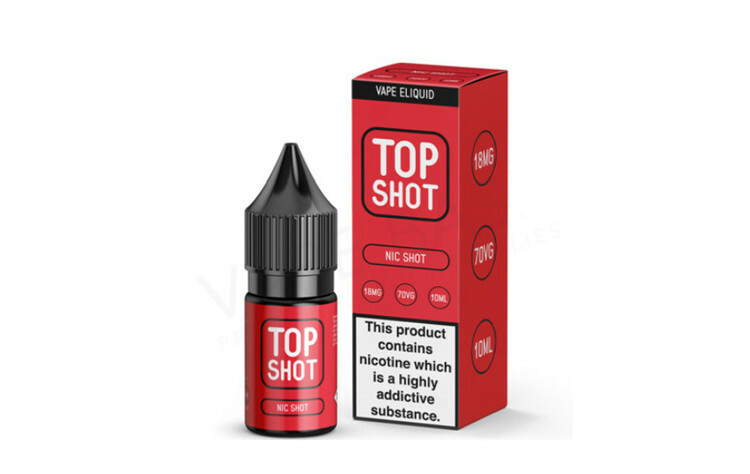 Top Shot 10ml nicotine booster shots, are designed to be used with shortfill eliquids. These 70% VG nic shots will increase the overall nicotine content of your eliquid. For example an 18mg 10ml nicotine shot added to 50ml of 0mg eliquid will give you 60ml of 3mg eliquid.